Study in New Zealand- Historically, New Zealand was considered one of the last major landmasses settled by humans. Presently, not only its natives but over 1,30,000 international students have been aspired to travel and pursue their higher studies in New Zealand (statistics of 2017) as it is one of the fastest growing study abroad destinations in the world for varied grounds. A major reason behind the increasing popularity of universities of the ‘land of the long white cloud’ among international candidates is the availability of world-class education and international exposure at an affordable cost as compared to education hubs in the USA and Australia, irrespective of courses. To cite an example, the tuition fee for an MBA programme in New Zealand will cost between NZD25,000 - 45,000, whereas the same programme from Australia would cost around AUD50,000 while that from the USA would demand a whopping USD 65,000. Having said that, the country also boasts of some illustrious universities like The University of Auckland, University of Canterbury and University of Otago, among the rest. Statistically, there are eight state-funded universities, 16 Institutes of Technology and Polytechnics (ITPs) and approximately 550 Private Training Establishments (PTEs) in New Zealand. Typically, the language of instruction in NZ educational institutions is English which makes it feasible for the majority of students across the world pursue study in New Zealand. The ITP’s and PTE’s offer diploma, certificate, and vocational courses. While ITP courses are degree level, PTE’s offer certificate and diploma courses in specific vocational programmes. If one is planning to study in New Zealand, he/she should start with an in-depth research pertaining to the universities in the Kiwi nation. Candidates must pen down all the important aspects including offered courses, admission deadlines, lifestyle, logistics etc. Once the university is finalised, the next stage is to understand the New Zealand admission cycle. The admission cycle of New Zealand comprises the entire process right from research to the start of the session. Careers360, in this article, vividly projects the admission cycle of New Zealand including the visa cycle, top 20 universities, scholarships, eligibility etc that will aid in planning study in New Zealand. Apart from being one of the developed countries, New Zealand is a beautiful island country situated to the east of Australia in the Pacific ocean. Renowned for the flightless bird kiwi, volcanoes and hot water springs; New Zealand is predominantly urban with a major concentration in Auckland, Christchurch, Wellington, and Hamilton; ranks highly in international comparisons of national performance, such as health, education, economic freedom and quality of life. Wellington in the Northern Island is the capital city. With its unique tradition, culture, welcoming people and folklores, New Zealand is an established hotspot of activities with something for everybody. Students get to indulge in a number of activities. Divided into a north and south island, New Zealand’s climate is predominantly temperate maritime. Popular destinations include Lake Tekapo, Hawke’s Bay, the Southern Alps, Tasman glacier. Life in a country like New Zealand is peaceful and provides the right stimulus for an enlightening education. According to the Global Peace Index (GPI) 2017 ranking, New Zealand has bagged the second most peaceful place to live. The country is coming up as a study destination as it offers education at par with the western countries and at an affordable cost. With a university within the top hundred, New Zealand attracts a lot of international students annually and the number is increasing over the years resulting in more than 1,30,000 foreign students who have enrolled for both public and private institutions across the world in 2017. A steady rise of 18 percent more Chinese students have been observed as compared with the start of April last year - an extra 3700 students. The number of students from Latin American nations went up 31 percent, and the number from south-east Asia went up by six percent the previous year. However, there were 4199 fewer Indian students at the start of April, observed a drop of 24 percent. A large number of aspirants opt for short term and long term courses at Private Training Establishments (PTEs) for study in New Zealand as well. Business Management and Social sciences are the top courses students look forward to studying in New Zealand followed by Engineering and Agricultural Science. So, prior to the application process and test preparation, prospective students should be informed about the programmes most sought after by an international candidate to study in New Zealand. Popular student destinations are the University of Auckland, University of Otago, ACG Yoobee School of Design, NZMA, etc. The University of Auckland is ranked 82 according to the QS World University Rankings 2017—2018. Understanding the admission cycle is crucial for all aspirants, irrespective of any foreign country for that matter. It impacts the chances of making into the desired university of one’s choice. Therefore, candidates aspiring to study in New Zealand should be thorough with the admission cycle of New Zealand as that would help candidates plan accordingly so that they have ample time to apply to universities and manage other elements of application as well. New Zealand’s academic session commences between February and March. However, some universities have different intake periods. Therefore, the best way to start with the application procedure is to get the precise information from the department concerned to avoid missing out on deadline dates related to admission. Not all university accepts applications after their deadlines. Once candidates are aware of the application deadlines they can start preparing for the standardised tests, including the English proficiency tests namely IELTS, Internet-based TOEFL (iBT), Paper-based TOEFL, Cambridge English: Advanced (CAE) or Proficiency (CPE), Pearson Test of English (PTE) Academic. Please note that for the March intake, a majority of New Zealand admission deadlines are scheduled in December of the previous year. Also, New Zealand admission deadlines may vary depending on the universities as well as their respective departments. For instance, University of Otago’s application deadline is October much earlier than the other universities with a February intake. 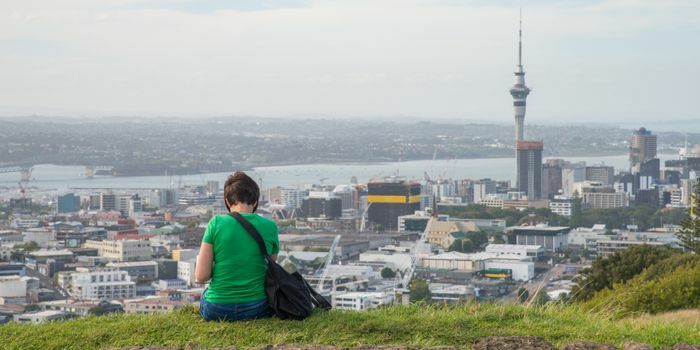 Also, the New Zealand admission deadlines for domestic and international students are completely different; therefore one must cross-check the deadlines before you apply. The eligibility criteria for distinct levels of study, namely undergraduate and postgraduate programmes differ in terms of educational qualification, countries where aspirants hail from, universities where applying to. Students should be well-versed with the eligibility criteria so that their applications do not get rejected on the eligibility grounds. Indian School Certificate or All India Senior School Certificate- Each subject requires different scores. For example- B.A course demands 75 percent, whereas BE(Hons) demands 82 percent overall with an average of 85 percent in Physics and Mathematics. Candidates must have completed a bachelors (honours) degree or postgraduate diploma from a recognised university. Previous work experience may be taken into account. If a candidate holds an honours degree or postgraduate diploma, he/she may be eligible for master’s study by thesis only. In some cases, if one holds a bachelor’s degree, he/she may apply for a coursework master’s degree or for master’s study by coursework and thesis. Complete an academic qualification substantially taught in English. A postgraduate certificate or postgraduate diploma from a recognised university. For international students planning to study in New Zealand, it is imperative to consider the cost of studying in the country as well. While tuition fee varies as per the university, level of study and programme of study, the living expenses are more or less same across the country. Moreover, the tuition fees are subject to change and are reviewed annually by universities/colleges. To cite an example, the tuition fee charged by the University of Canterbury is NZD $24,300 for undergraduate BA course and NZD $41,000 for Bachelor of Engineering with Honours programme. For postgraduate studies, they charge NZD$ 54,400 for MBA (2018) which will be revised to NZD$ 57,200 for 2019 batch of students, for Master of Engineering Study the charges are NZD$ 39,000(2018) and revised to NZD$ 42,000 for 2019. A Masters of Management programme at the University of Auckland may cost upwards US$ 39000 and a Masters International Business would cost around US$ 51000. These are the course fee alone, the living expenditure ranges between the US $13000– the US $20000 annually will be an added expense. However, the Private Training Establishments (PTEs) are more cost-effective in comparison to the Universities in New Zealand. Universities do offer scholarships to deserving foreign candidates for varied programmes. A number of universities in New Zealand offer online degree programmes that cost much less. For citizens of Asian countries to complete a BCom or BProp degree programme. Available to undergraduate students after their second year of study. The Scholarship supports international students to enrol in specified postgraduate programmes at the Faculty of Education and Social Work, and successfully establish themselves in Auckland. There are some country-specific scholarships awarded to candidates. Some of the top scholarships for Indian students are A C Rayner Memorial Scholarship, The Eamon Molloy Memorial Scholarship, University of Waikato Excellence Scholarship for Asia, University of Otago Doctoral Scholarship to name a few. Proof of Identity- Candidates’ Passport is the proof of identity. Also, a certified copy of the birth certificate, national identity card or driving license would be required. Letter of Acceptance- The visa application will only be entertained if candidates have been offered a place of study at a New Zealand institution. Health insurance proof- It is usually required to maintain a medical, and in some cases travel, insurance while one is studying in New Zealand, which covers the entire stay in the country. Proof of enough financial resources - Having sufficient funds is a necessary pre-requisite when applying for a student visa to study in New Zealand. Importantly, the document showing adequate financial resources shouldn’t only cover tuition fee and other academic expenses, but non-academic expenditures like accommodation, air-fare to and from your home country as well. Also, while tuition fee varies from programme to programme, Immigration to New Zealand has a fixed financial requirement that he/she must meet to support oneself in New Zealand. a sponsor or family member who has agreed to take care of the financial responsibility while the student is in NZ (New Zealand). Health certificate- Depending on the place of origin and the tenure of stay in NZ, one might be required to provide health certificates with his/her application. Documents related to your employment history: If applicants have prior work experience, they might be required to give documentary evidence. Proof of English proficiency: Applicants can furnish details of English proficiency tests like IELTS or TOEFL, depending on the requirement of the chosen university. International students who desire to pursue an education in New Zealand for more than three months will require a student visa. As soon as the application is approved, candidates will have to contact the New Zealand Immigration office to apply for the student visa. The best time to apply for the New Zealand student visa is three (3) to four (4) months before the commencement of the academic session. If a candidate is an overseas national and flying to New Zealand to study for more than three months, he/she will need a student visa. To qualify for a student visa, one must enrol in a full-time course. Once the visa has been approved, applicants cannot change to a part-time course. The University is obliged to notify Immigration New Zealand if candidates appeal to shift to part-time study from the full-time programme or discontinue the selected course. The categories are self-explanatory and most of them are valid for four years except Pathway Student Visa and Dependent Child Student Visa. Pathway student Visa is for candidates who aspire to do three consecutive courses using a single visa. This is valid for five years. All student visas allow students to work for 20 hours per week during the academic session and full time during breaks and vacation. The Dependent Child Student Visa holders are not permitted to work though. The cost of visa application varies depending on the nationality of the applicant and the place from which the application is submitted. The cost of living primarily depends on the student’s lifestyle and which part of the country he/she lives in as some costs vary by region. The cost of study varies from the undergraduate degree to postgraduate degrees. Typically, an undergraduate degree costs between NZ$ 22,000 and NZ$ 32,000 per year with higher fee structure for subjects like medicine and veterinary science. Usually, Bachelor’s degree can be completed in three years. A postgraduate programme costs between NZ$ 26,000 and NZ$ 37,000 per year with the higher fee structure for subjects like medicine and veterinary science. The International PhD students pay the same as national New Zealand PhD students, which is about NZ$ 6,500 to NZ$ 9,000 per year for most of the subjects. NZ$ 440 ( Rent for a three to four-bedroom house per week). NZ$ 510 in Auckland. Most students have a choice of four to nine energy retailers, each with various plans to choose from. Auckland NZ$ 64, Wellington NZ$ 64, Christchurch NZ$ 63, and Dunedin NZ$ 65. Prices vary depending on where one chooses to shop or eat. New Zealand cities and most towns have bus services, and some areas offer cheaper bus fares for students as well. Auckland and Wellington have train services to outer suburbs. Q> Is there any age bar to apply for student visa? Ans> If you are a new student who has been offered a place of study at an approved New Zealand educational institute, you can apply for a study visa irrespective of your age. Continuing students also needn’t have to worry about age limits, but must submit a confirmation of enrollment as a returning student. Ans> You are not permitted to stay in New Zealand and pursue further studies if the validity of your student visa expires. If you unlawfully stay in New Zealand after your visa has expired, you may be deported. So, the ideal thing to do is to apply for visa renewal before the expiry of your visa. You can renew your student visa yourself online, or through your education provider, on campus. However, if your education provider fails to renew your visa, you should apply online through Immigration New Zealand. The waiting time for visa approval is around two weeks if applied through Immigration New Zealand. Also note that you are required to renew your student visa every year, barring some exceptions. Ans> You can check the status of your student visa application through VFS Global New Zealand. New Zealand: Candidates can know all about admission and visa guidelines to study in New Zealand. Why New Zealand -Candidates can know here the reason why to study in New Zealand. How to apply for Masters in New Zealand?